Email organization is the bane of office life. When working in a large team, it’s common to get dozens of emails every day — and if you have any sort of public-facing email address, you could receive hundreds. It’s easy to drown under all of those emails. And the sad thing is that most of us only use two email categories: Inbox and Trash. Throw in the juggling of multiple email accounts and you’ve got a recipe for chaos. If you fear opening your inbox, then you may benefit from using Gmail sublabels. For example, you can create a label for “Work” and then sublabels for different projects, a sublabel for reimbursable receipts, a sublabel for threads between you and your boss, etc. Click the arrow in the sidebar to open up the menu, and all the way at the bottom click on Create new label. Give the label a name, whatever you want. Click Create new label again. This time, give the label a name, enable Nest label under, and select the label you want to use as the parent label. 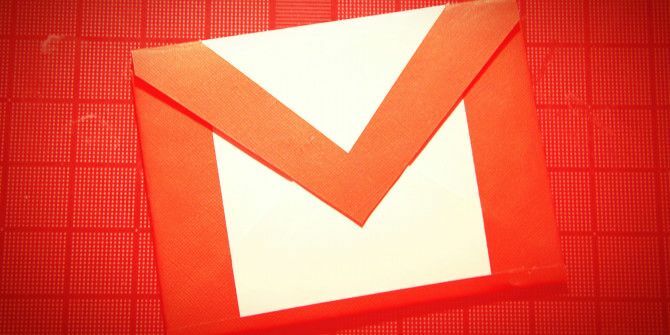 Be sure to boost your Gmail efficiency in other ways too, such as using filters for extra organization 5 Gmail Filters to Help Prioritize & Organize Your Inbox 5 Gmail Filters to Help Prioritize & Organize Your Inbox What filters should each and every person have in their arsenal so that their inbox is as orderly as mine? I'm here to help you get started in setting up your first five filters, or... Read More , using forwarding to help automate Use Email Alias and Forwarding in Gmail To Better Manage Your Life Use Email Alias and Forwarding in Gmail To Better Manage Your Life By this point, most people know about the nifty tricks you can use in your Gmail address called aliases, that allow you to give people different email addresses that all arrive at the same inbox.... Read More , and using aliases to reduce spam Divide & Conquer Your Email With The Power of Gmail Aliases Divide & Conquer Your Email With The Power of Gmail Aliases When it comes to email organization, the immediate reaction is often all about folders, tags, filters, priority marks, and things of that sort. Not that any of those are bad - in fact, most of... Read More . How do you use labels in Gmail? Got any other Gmail tips for us? Share with us in the comments below! Careful with too many labels and filters. Remember that each new email will be scanned by all filters to apply the assigned actions, and that may slow down your account. In server level, both filters and labels count as account activity, and you may find out that your Gmail interface is painfully slow if you abuse those.